September is here, as is cooler weather. Areas north of Lake Pontchartain have already been graced with forecasts that include lows in the 60's, and I personally have experienced low humidity during an evening run that was nearly euphoric. Weathercasters on multiple local TV stations have said that they expect cooler weather to set in to the area sooner than later, and that sounds perfectly fine to me. You would think that my September is jam packed with events in an attempt to get a jump start on the runner friendly environmental changes. However, my race forecast appears to be the only one that is pretty bleak. Here's a rundown of some events in which I'm planning to participate, along with registration details and links. Play Dirty Adventure Trail Run (Saturday, September 14th @ 9:00am) - Taking place at Zephyr Stadium on Airline Drive in Metairie, this run paired with obstacles will be a fun challenge for participants. I'm in the midst of fall marathon training, so I'm not taking chances with anything that asks me to do more than put one foot in front of the other. However, I'll be at the race cheering on friends and taking photos for a recap the following week. 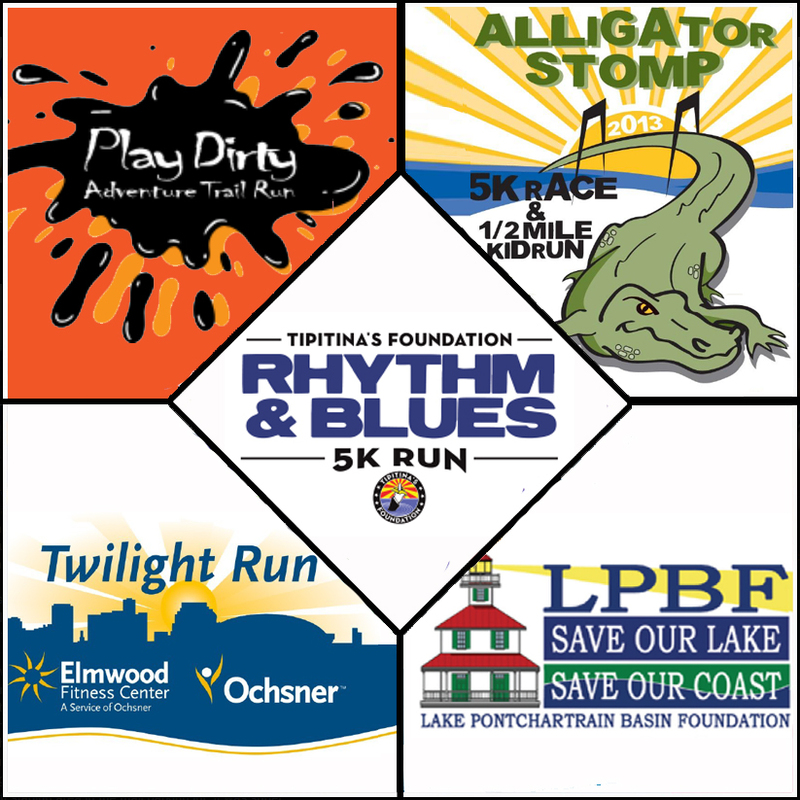 Tipitina's Rhythm & Blues 5K (Saturday, September 28th @ 5:00pm) - The New Orleans Track Club puts on the second annual race in Uptown New Orleans on a Saturday evening. I have friends in town this weekend, and we're going to head out to the race before taking on the town. There's a costume contest, medals to finishers, and proceeds go to assisting area high school music programs. Also on the calendar are several races that I can't attend, but may be great options for your schedule. If you have any events on your calendar that I may have missed, please feel free to comment below with details so we can check them out! Just registered for the Tipitina's 5K. That will be a great weekend. Surely you have a few 1/2's on your schedule? Actually no more halves until October, Karen. But that's when all running heck breaks loose. Can't wait to do the Tip's 5K with you, though!